The Jerusalem Council: a model for Utrecht? Andrew Bates is a pseudonymn. The circumstances facing the 1995 General Conference session are strikingly similar to those facing the Jerusalem Council in A.D. 49. That first "general conference," I believe, could show us how to handle the ordination issue in a way that will unite instead of fragment the church. It's a goal worth praying for. In considering possible parallels, we can fully describe the biblical model. It is already history, recorded in Acts 14 and 15. The extent to which Utrecht might follow that model, how ever, is a matter of hope, not history— a bright hope, to be sure—and the analysis that follows is written by a "prisoner of hope" (cf. Zech. 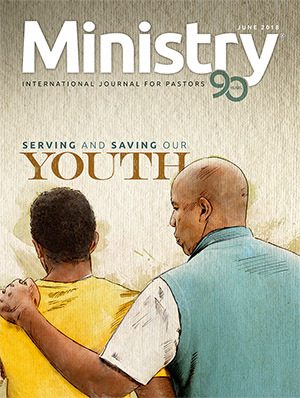 9:12). Let's look at the parallels, both real and potential. At Jerusalem the whole church ad dressed the circumcision issue. A churchwide decision is necessary only if believers want to preserve the unity of the body of Christ. Paul and Barnabas could have led a splinter group of Gentile Christians, dividing the church along Gentile-Jewish lines. But delegates to the Jerusalem Council came together to resolve the issue because they believed in the unity of the church. Similarly, for Adventists today the ordination of women is a churchwide issue. That is why it is on the agenda at Utrecht. Though other Christian bodies have split over the issue, God calls us to address it as Christians, following the guidance of the Spirit so that the unity of His remnant body might be preserved. And the issue affects us all, regardless of our personal convictions on the matter. Acts 14:21-28 describes the growth of the church with a certain exuberance. Paul and Barnabas went from town to town in Asia Minor, winning many disciples to the Lord. They appointed elders for each group of believers, praying with them, and en trusting them to the Lord. When they returned to Antioch, the missionaries called the church together and told of God's blessing on their efforts. In particular, they told how God had opened a door of faith for the Gentiles (Acts 14:27). Apparently circumcision was not an issue for these Gentiles—until some believers came from Judea and declared: "Unless you are circumcised according to the custom of Moses, you cannot be saved" (Acts 15:1)." Paul and Barnabas were alarmed, fearing that their mission to the Gen tiles could be at risk. Unwilling to link circumcision with salvation, they had "no small dissension and dispute" with their Judean brethren. 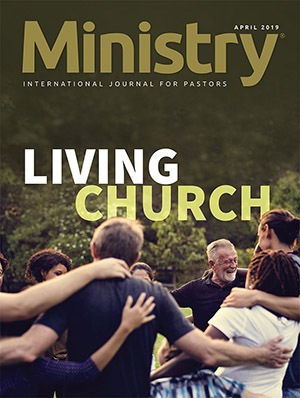 It soon became clear to the believers in Antioch that the larger church must address this issue that went right to the heart of the church's mission. They sent Paul and Barnabas to Jerusalem to discuss the matter with the brethren. Dissension couldn't cool the ardor of the missionaries. En route to Jerusalem, they traveled through Phoenicia and Samaria, "describing the conversion of the Gentiles; and they caused great joy to all the brethren" (verse 3). And in Jerusalem they "reported all things that God had done with them" (verse 4). But discord broke out once again as certain believers from the sect of the Pharisees expressed their convictions about the new Gentile believers: "It is necessary to circumcise them, and to command them to keep the law of Moses" (verse 5). 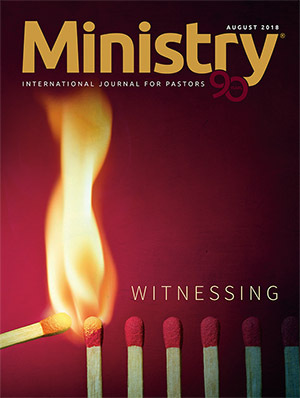 The conference had its agenda, all right, but note that it was a mission-driven agenda, erupting as a direct result of explosive church growth among the Gentiles. 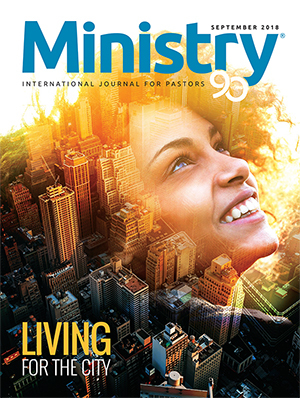 Similarly, the women's ordination issue is mission-driven, especially in North America. Adventist campuses across North America are alive with young women whose hearts have been gripped by the conviction that God wants them to serve Him in a special way. And a ripple effect moves beyond those who feel called to ministry. 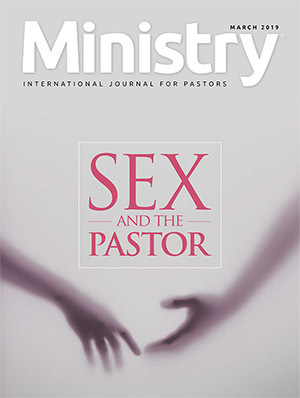 Many, especially women, see the church's stance on ordination as symbolic of its attitude toward all matters of equality, including gender and race. As the doors signifying equality have gradually opened, one hears echoes from the book of Acts—the good news spreading with great joy through Phoenicia and Samaria, all the way from Antioch to Jerusalem. But opinions are still divided. The decision at Utrecht will be crucial, the implications for mission far-reaching. The account in Acts suggests that Jewish Christians of the Diaspora (Jews living outside of Palestine) were quite willing to let circumcision be a non-issue for the non-Jew. Close con tact with Gentiles had nurtured positive feelings among the Jewish Christians and they responded with joy when the Gentiles came flooding into the church. In Judea, however, a more critical spirit prevailed, especially among Christians from a Pharisaic back ground. It was hard for them to imagine anyone worshipping the true God without first becoming a Jew. But conversations, even dissensions and arguments, began to build the bridges that would keep the church together. In our day the issue of women's ordination is also shaped by culture and geography. The democratic traditions of the West have given impetus to the idea of equality for women, though even in the West the struggle has not been easy. Other cultures, however, see the issue of equality quite differently. I have listened in, for example, on lively debates between Middle Eastern Muslims and Western Christians on the role of women. The Muslims were repulsed by the idea of "'forcing" freedom on their women. "We protect them," they declared bluntly. In contrast with previous proposals on ordination, the one coming to the Utrecht General Conference session respects geographical and cultural differences, proposing that decisions on ordination be made division by division. That is faithful to the model established by the Jerusalem Council. Just as circumcision was neither abandoned by all nor forced on all, so the church should not attempt to force a lockstep unity on the question of ordination, disregarding deep convictions and cultural patterns. 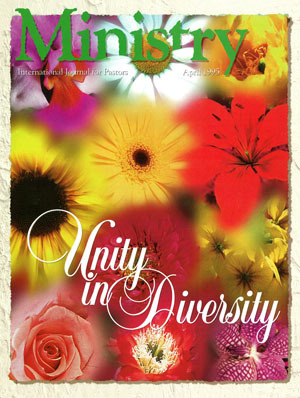 The church can, however, support a unity that allows for cultural diversity. In deed, allowing for such diversity would be a powerful impulse toward unity. It is instructive to note that the church did not formally address the issue of circumcision until some 15 years after the resurrection of Jesus. In other words, it was not at all clear to the early Christians that Jesus' death on the cross had brought the law of Moses to an end. Only when evangelism exploded among the Gentiles did the believers finally realize that some elements of Judaism might pass away. The list of four "necessary things" that the Jerusalem Council asked of the Gentile believers—abstaining from "things offered to idols, from blood, from-things strangled, and from sexual immorality" (Acts 15:29)—represent a remarkable halfway house between traditional Jewish requirements and the Christian freedom for which Paul argues so forcefully in passages like Romans 14 and 1 Corinthians 8 and 10. And Paul himself, by carefully addressing the issue of the "weaker brother" (1 Cor. 8:7-13; 10:23-30), reveals a keen awareness of how difficult it is to live in a time of transition. The decision to drop circumcision as a requirement while affirming a prohibition against food offered to idols is particularly interesting in light of the Old Testament stance on both issues, for no clear "thus saith the Lord" can be found for either position. Nowhere does the Old Testament even hint that circumcision could be laid aside; and no where does it clearly address the issue of food offered to idols. Yet in the name of the Holy Spirit the Jerusalem Council endorsed both positions because they believed circumstances in the church and world demanded it. Actually, the Old Testament itself shows that such adaptability had long been apart of God's way with His people. In Deuteronomy 23, for example, eunuchs, illegitimate children, Ammonites and Moabites are all forbidden a place within the Lord's congregation. Yet Isaiah 56:4, 5 opens the door to the eunuchs, Judges 11 blesses the illegitimate Jephthah, and the royal Davidic lineage (of which Jesus was a part) includes both Ruth the Moabite (Ruth 4:17-22; Matt. 1:5) and Naamah the Ammonite (1 Kings 14:21). Yet when the postexilic community was at risk, Ezra and Nehemiah again "enforced" the Mosaic mandate by insisting that the Jews send away their wives of Moabite and Ammonite descent (Ezra 9,10; Neh.13:23-27). In other words, the principle of adaptation expressed so aptly by Paul as "all things to all people" (1 Cor. 9:22, NRSV) describes God's consistent way of dealing with His people. As for the issue of ordination in our day, changing circumstances may have finally prepared the way to grant equal treatment to all God's children, whether Jew or Gentile, slave or free, male or female (cf. Gal. 3:28). Historically, the willingness of Christians to grant such equality has come gradually and—ironically—step-by-step in the very order given in Galatians 3:28. The New Testament itself affirms the equality of Jew and Gentile. But the abolition of slavery did not come until some 19 centuries later and in America, at least, at the cost of civil war. Now, at the end of the twentieth century, the issue of male and female equality finally has come to the fore. 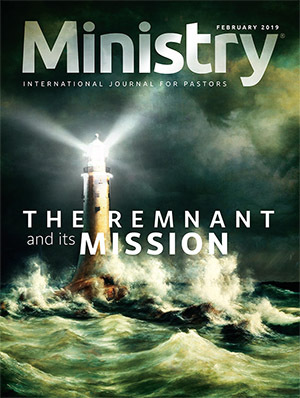 Maybe Christians, maybe Adventists, are now ready to hear God's call to return to the glorious ideal of Genesis 1—a humankind in which male and female are both created in the image of God (Gen. 1:27). If it took a Jerusalem Council to declare that God makes "no distinction" between Jew and Gentile as far as salvation is concerned (Acts 15:9), maybe the Utrecht Conference can declare that God makes "no distinction" between male and female when it comes to ministry and service. At the Jerusalem Council, since all the delegates were circumcised, they were the ones who had to speak for the uncircumcised. In other words, those in power and with power were the advocates for the powerless. Both Peter and James forcefully supported the position proposed by Paul and Barnabas. And all four men were circumcised Jews. It was that kind of advocacy that insured the unity of the church and enabled the Jerusalem Council to work together toward a common goal. Furthermore, when the powerful speak and act on behalf of the powerless, it shields the powerless from the spiritual danger of having to advocate their own cause and defend their own rights. And so it must be with the issue of ordination. Ordained men who hold privilege and power must be the advocates for the powerless. 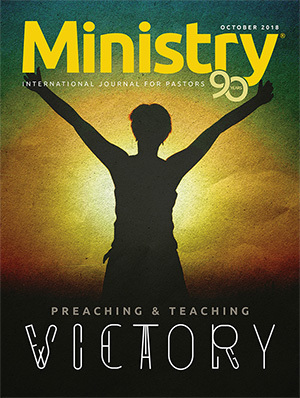 If it is right for women to serve in ministry, the church dare not force them to be their own advocates. The spiritual risks are too high. At Utrecht the vast majority of delegates will be ordained males. It will be up to men of privilege and power to speak and vote on behalf of the powerless. It happened at Jerusalem; it can happen at Utrecht too. While the record of the Jerusalem conference in Acts 15 is much abbreviated, it is instructive to note the kinds of arguments included in the biblical account. Peter, taking the floor after "much discussion" (verse 7, NIV), did no exegesis of Scripture. He simply told the story of how God had demonstrated the equality of Jew and Gentile, giving the Holy Spirit to both (verse 8) and without "distinction" purifying the hearts of both by faith (verse 9). Then, after referring to the "yoke" which neither "our fathers nor we were able to bear" (verse 10), Peter openly expressed his own conviction: "We believe that through the grace of the Lord Jesus Christ we shall be saved in the same manner as they" (verse 11). Without quoting Jesus directly, Peter emphasizes the truth of Matthew 7:12: "In everything do to others as you would have them do to you; for this is the law and the prophets" (NRSV). Presumably, all the exegetical arguments based on specific Old Testament passages had been thoroughly aired in the "much discussion" preceding Peter's speech. And the traditionalists would have had much on their side. Where in the Old Testament—which was their only Bible— can one find a "thus saith the Lord" for setting aside circumcision and the law of Moses? At the level of individual passages, the traditionalists would seem to have had ironclad arguments. One could easily imagine the first century equivalents of "I am the Lord, I change not" (Mal. 3:6, KJV) and "Once true always true." But all that is only a matter of conjecture, for Acts 15 records only how Peter transcended the specifics of the law, moving to the higher principle of equality that undergirds all law. Like Jesus, who declared that He had not come to "destroy" the law but to "fulfill" (Matt. 5:17), Peter sees the law embodied and filled full in the principle of equality before God. As recorded in Acts, James follows Peter's speech with a summary and a conclusion. He, like Peter, avoids any exegetical arguments, though he does quote Amos 9:11-12 in a version that resembles the Greek Bible rather than the Hebrew. The point of quote and the speech is that God has prepared the way so that the Gentiles may seek him. "Therefore," concludes James, "I judge that we should not trouble those from among the Gentiles who are turning to God" (Acts 15:19). James does list the four "necessary things" that should still be important to the Gentiles (verses 20, 29). Abstention from food offered to idols would be an important symbol to the larger pagan culture; avoiding blood and things strangled would facilitate table fellowship between Jews and Gen tiles; the statement against sexual immorality affirmed basic moral standards. But the main battle was over: circumcision was no longer required. Turning to the issue of ordination of women, we must ask if the speeches of Peter and James are appropriate models. Can we base our solution on the larger principle of equality rather than on the exegesis of individual passages? Whether one interprets the "curse" of Genesis 3 in penal terms or as the "natural" result of sin, the chapter does ex plain why the whole Bible is dominated by the male perspective: "He shall rule over you" (Gen. 3:16). How true. In a sinful world the more powerful will always rule the weaker. On the basis of individual passages, a strong case can be made for male dominance, even in the New Testament: "Let your women keep silent in the churches, for they are not permitted to speak" (1 Cor. 14:34). "If they want to learn something, let them ask their own husbands at home; for it is shameful for women to speak in church" (verse 35). "Let a woman learn in silence with all submission. And I do not permit a woman to teach or to have authority over a man, but to be in silence" (1 Tim. 2:11, 12). If one overlooks the powerful evidence that God constantly adapts to sinful human conditions, and if one grants absolute value to specific passages addressed to specific cultural situations, then one can also argue for male dominance and female submission. The specific texts are very clear. But that was precisely the position of the Judean brethren who argued for circumcision at the Jerusalem Council. If, however, we follow Peter and James in the position that was adopted by that conference, then, with Peter, we can argue for equality: the Lord has made no "distinction" (Acts 15:9). And with James, we can recognize that the Lord has opened a door to service and ministry for our sisters in Christ. Do we dare "trouble" (verse 19) them with burdensome restrictions? The exegesis of individual passages is still important, however, revealing how God has adapted His truth to our world, speaking "at various times and in different ways" through the prophets (Heb. 1:1). Careful exegesis will also reveal how God "in these last days" has "spoken to us by His Son, whom He has appointed heir of all things, through whom also He made the worlds" (verse 2). 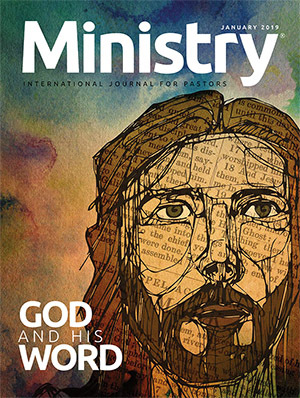 But Christian witness involves more than careful exegesis. We are called to be "doers of the word, and not hearers only" (James 1:22). That should inform our actions at Utrecht. This may also be the place to note that when one moves from the issue of male and female equality to the narrower question of ordination, the issues are not at all clear. 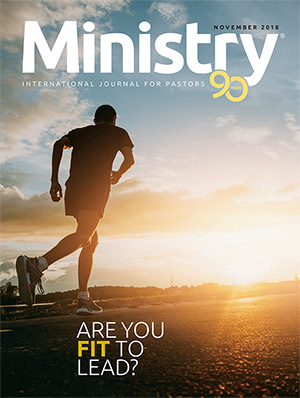 In a survey article on the topic of ordination, David F. Wright cites one scholar as saying that "almost every issue related to the subject re mains unresolved." 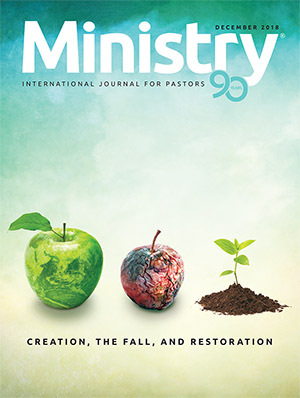 5 Wright himself argues that Scripture points toward ordination by the local congregation; the laying on of hands by "ordinary" members affirms the biblical and Protestant teaching that all believers constitute "a royal priesthood" (1 Peter 2:9).6 And the book of Revelation declares that during the millennium, God's people will be "priests of God and of Christ" and will reign with Him (Rev. 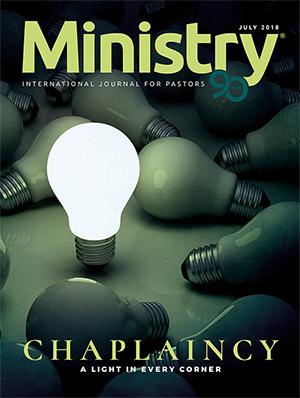 20:6). Is it only males who will be "priests" of God, or is it a privilege extended to all God's children? One of the most exciting and miraculous features of the Jerusalem Council was the way in which the Spirit brought the church together. In the letter sent to the believers James wrote that the solution "seemed good to the Holy Spirit, and to us" (Acts 15:28). Given the sharp contentions leading up to the conference, any merely human observer would have despaired of unity. A split seemed inevitable. But good things did happen, because the church was open to the guidance of the Spirit. Can the right spirit prevail at Utrecht? Yes, by God's grace. Part of the genius of the Jerusalem Council lay in the willingness of the believers to allow for diversity while affirming unity. On the one hand, it did not insist on circumcision for all; but on the other, it did not forbid circumcision. 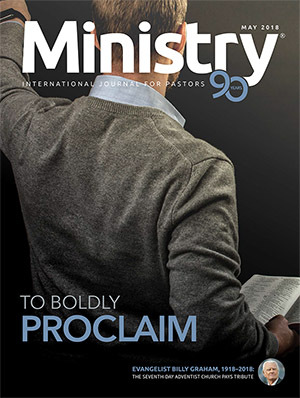 And in that connection we must not be misled by Paul's vivid rhetoric to the Galatians: "If you become circumcised, Christ will profit you nothing" (Gal. 5:2). Paul was addressing a specific situation that required strong words. His own example offers a balancing element, for immediately following the Jerusalem council Paul circumcised his co worker Timothy "because of the Jews" (Acts 16:3). In actual practice, then, Paul could be more conservative than the council, circumcising Timothy even though it was no longer "required." But he could also be more liberal than the Jerusalem Council, as indicated by his counsel on food offered to idols in 1 Corinthians 8 and 10. In short, the unity of the church is preserved when we allow a certain freedom for individuals or local congregations to respond to specific situations as the Lord gives wisdom. Applied to the ordination of women, it would appear that the church finally has in hand a proposal that follows the model of Acts 15, one that does not mandate ordination of women, but al lows it where it can be helpful. Previous proposals on ordination assumed a lockstep unity that could force the con science and practice in ways that could be destructive. The church is best served when God's people live out the principles of equality at every level, treating each other as we would want to be treated. That was Peter's conviction at the Jerusa lem Council. And by God's grace, it can be ours as we face important issues at Utrecht in the summer of 1995.
view and Herald Pub. Assn., 1981), p. 282; cf. (Mountain View, Calif.: Pacific Press Pub. Assn., 1948), vol. 6, p. 134. 7 Manuscript 24, 1888, in The Ellen G.
White 1888 Materials V. 1.1, p. 221.